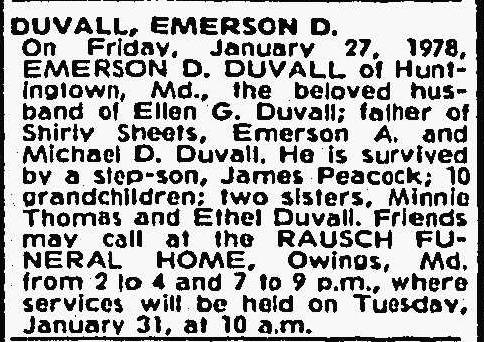 Technician Fifth Grade Emerson Duvall, Corps of Engineers, Company A, 284th Engineer Combat Battalion, United States Army, for heroic achievement in connection with military operations against an enemy of the United States near Ober Forstbach, Germany, on 22 February 1945. Technician Fifth Grade Duvall, a bulldozer operator, daringly employed his bulldozer to extinguish a fire in the area of an ammunition supply point by pushing dirt over the stacks of flaming ammunition. Despite the constant danger of exploding ammunition and the possibility of detonating scattered grenades and numerous other explosives with the tracks of his heavy dozer, he persisted, with complete disregard for his personal safety, in this extremely hazardous task. Technician Fifth Grade Duvall’s heroic actions prevented the serious fire from spreading and saved essential serviceable ammunition.